individual, especially at fairly long range, then you need to ensure that the system you are considering is capable of this. Most Gen 1 night vision equipment available today will provide an adequate image for most non-professional requirements under higher night light conditions, such as full moon. But, if you need to see under truly dark conditions, such as starlight, need longer range or need to see finer details then you will have to consider Gen 2/ SuperGen/ HyperGen and Gen 3 systems. It is difficult to choose a night vision system by simply reading technical specifications. Not only are the performance specifications tough for most people to understand but they are even tougher to relate to real-world use. Comparison of specifications is also only valid if test instrumentation and methodology are consistent and reliable - unfortunately, this is unlikely. 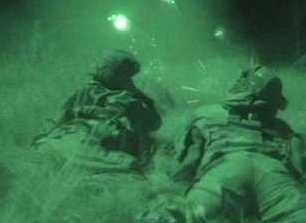 The best way to evaluate a night scope is to test it in real-world conditions. Ideally, you should conduct your evaluation under the same conditions in which you intend to use the scope. This is by far the most important parameter for an Image Intensifier. It is a measure of the light signal reaching the eye divided by the perceived noise as seen by the eye. For Night Vision devices it is measured at a light-level of 108 ulx. The value of the SNR determines the resolution at very low light-levels. Therefore, the higher the SNR the better the ability to resolve image details under low light-level conditions. 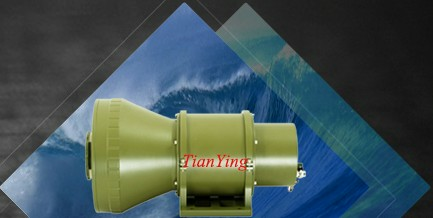 The SNR is related to the specific design of the tubes. The distance between the photocathode and the MCP (Micro Channel Plate) determines how big the halo will be. As you look to an active light source, you will see a halo around the light source. The closer the MCP is located towards the photocathode, the smaller the size of the halo. Typically 0.8 mm for the XD-4™ and 2.0 mm for the GEN III . Resolution is the maximum line density on a USAF target that can be resolved by a human eye and is expressed in line pairs per mm (lp/mm). A more objective performance indicator is given by the Modulation Transfer Function (MTF). High MTF values at low spatial frequencies provide - like for the XD-4™ tubes - sharp images with a good contrast. The life time of an Image Intensifier is an extremely important parameter for Night Vision applications. A number of different definitions are used depending on the manufacturer. For the XD-4™ Image Intensifiers the life time of 15000 hours is the expected life time, which is defined as the time after which still 50 % of the original sensitivity is left. • Photosensitivity - The ability of a night vision system to detect light energy and convert it to an electron image is reflected in the image intensifier's photosensitivity. 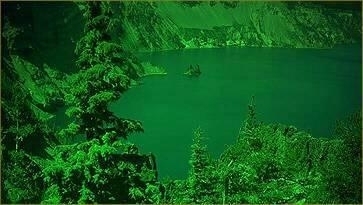 Usually, the higher the value, the better the ability to "see" under darker and darker conditions. However, be aware that at night there is more light energy available in the near-infrared region than in the visible region. Therefore, if a device claims a high photosensitivity, make sure to find out where in the spectrum this is measured. A high photosensitivity in the blue or visible region may not perform as well as another system with a lower overall photosensitivity, but a higher value in the near-infrared region. • Gain - This tends to be a confusing parameter when evaluating night vision devices. The darker the conditions, the harder it is for the system to render a clear image with reasonable contrast. Additional gain is required as conditions grow darker and for longer range. The most important gain measurement is the system gain. Very high gain values for an image tube are not especially significant - military devices can have tube gains ranging anywhere from 20,000 to 80,000. Look for the system gain. Military systems operate at gains in the region of 2,000 to 3,000. The higher the value the better the ability of the device to amplify the light it detects. However, if a system does not possess a good photosensitivity and SNR, a very high gain value simply means that you will make a poor image brighter, not better. Populated areas always have an atmospheric glow from artificial lighting. 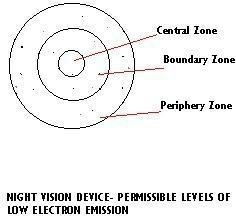 A high-gain device might be required in remote areas on overcast nights, but it would not be necessary for use in urban or suburban conditions. Even in isolated locations without man-made light, a high-quality, affordable Gen 1 monocular/binocular will provide good imaging with a half-moon and clear skies - this can be further enhanced with the use of an IR illuminator. The very best test is field evaluation in real-time conditions. • Range - Can you see your subject 75m away? Effective range is a balanced function of the system’s gain, resolution, image magnification and the amount of ambient light available. While a powerful lens will provide more image magnification, it will also reduce the amount of available light captured. The best effective range with most intensifiers is achieved with a high-speed lens that has minimal magnification (<3x). Higher levels of ambient light dramatically increase any device’s range capability. Just as more gain is required for longer range in darker conditions, less gain is required as conditions grow brighter. Most applications are satisfied with systems offering image magnification of 1x to 3x. Goggles, for instance, are specifically designed for near-field viewing and use 1x image magnification to keep the wearer from becoming disoriented. For marine use, a good quality 1x magnification monocular is ideal because it gives a wide field of view - if you also need higher magnification, buy a model with interchangeable lenses. High image magnifications mean a narrow field of view and the possibility of missing a subject you are searching for. • Image Quality - High resolution, high contrast and a lack of distortion and noise contribute to a premium Night Vision image. With higher resolution you might identify someone you know at 60m as opposed to simply recognizing a human figure. Superior contrast allows you to see dark subjects against darker backgrounds. Lower distortion renders a flatter, less rounded image with crisper details. Always try and choose a model that offers glass optics - these will give you the sharpest, clearest optical quality. Units that use plastic optics tend to offer lower optical quality and higher distortion. • Resolution - Usually this is measured as tube resolution (lp/mm) or system resolution (cy/mr). The higher the value, the better the ability to present a sharp picture. Gen 1 devices may produce a reasonably clear image in the centre of the viewing area, but sharpness drops off noticeably toward the periphery. • Target Characteristics - System performance is not only limited by intensifier/system parameters and light level, but also by the target characteristics and atmospheric conditions. 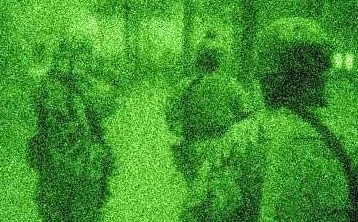 To the right is a graph showing the spectral reflectance of various elements - a man in drab clothing, for instance, would stand out dark against green foliage, which is more reflective, especially in the nearinfrared spectrum. The degree of contrast between the various elements visible has a lot of influence on the detectability of a subject. • Magnification and Field Of View (FOV) -Consider the size of your target, the distance you wish to see over and the overall area you are observing or searching. For most surveillance or search applications, the higher the magnification , the narrower the FOV & the greater the number of times you need to scan an area to avoid missing important objects or events. Usually a 1:1 lens with a wide FOV provides optimal performance. For longer range observation or weaponsight applications, the amount of magnification needed will vary; take into account that, as the magnification increases so does the lens ƒ-number while the FOV decreases - this reduces the amount of light captured. How versatile is the device you are considering ? Do you need, and does it offer, interchangeable lenses ? • Ergonomics - Size, weight and ease of use are important considerations. If you plan to carry your scope in your pocket or briefcase, then smaller systems will suit you better. Lightweight devices are more comfortable during extended viewing. Since you will be using the device in the dark, the switches and controls should be positioned logically and be easy to use. • Distortion - Gen O, Gen 1, and 25-mm Gen 2 electrostatically inverted image tubes produce a certain amount of geometric distortion in the image. In Gen 2 and Gen 3 systems, geometric distortion is normally eliminated through the use of an MCP,although it is possible to encounter some perceptible S and shear distortion. Especially when the application involves photography, video work, or weaponsights, the distortion and peripheral resolution can be critical. • Extended Viewing - If you intend to look through a device for extended periods of time (20+ minutes) you may find that a binocular or biocular better suits your requirements. Using a monocular continuously for this period of time will mean that your eyes will adjust individually to their lighting conditions - one to the scene through the night scope and the other to the ambient lighting. This could lead to eye strain. If you use the device for extended periods, a tripod socket may be a useful feature. 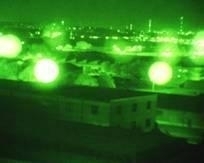 • Weather Resistance - The ability of a night vision system to operate under adverse environmental conditions. Most devices will withstand a light shower, but if you expect to regularly use the device in inclement weather or a marine environment, choose a model that has protection against such conditions. If you want full waterproofing, ie can be fully submersed, choose a system built to mil specs or that is guaranteed as such..
• Practicality - Is the battery a size and model that is commonly available? This is important, especially if you use your system in the field. 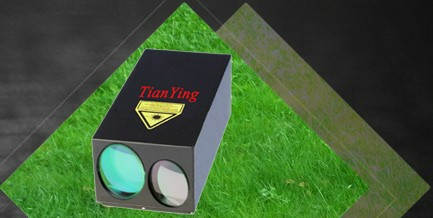 All Tianying Optics/Yukon scopes use batteries that are readily available from camera shops or electrical retailers. the scope properly when not using it. The image intensifier is a vacuum sealed glass tube - it can be easily damaged if the device is knocked or dropped. Ensure that you protect your scope well from such possibilities. The intensifier tube is by far the most expensive component to replace in a night scope, on average accounting for some 60-70% of the total cost. * Secondhand or Reconditioned Devices - As stated above, intensifier tubes have a finite duty cycle (they will eventually wear out). Knocks, abuse or exposure to bright light will further compromise a tube’s performance and life. Thomas Jacks Ltd does not supply "second hand" or "reconditioned" equipment and would not recommend the purchase of such devices unless you can be absolutely certain of their usage/performance. While the price may be attractive, be aware that the intensifier tube cannot be restored to ‘new’ condition. "Reconditioned" usually means the system has a new or repaired power supply, but the tube photosensitivity, SNR and the remaining life cannot be improved and will be noticeably lower than from an equivalent new device. Some second hand or reconditioned units may be operating at below acceptable minimums and few companies possess the necessary test equipment to evaluate the tube's level of performance. • Service - Is the product supplied by a reputable, branded supplier, protected by a warranty that will be honoured and is technical service available ? • Warranty - We offer a 1 Year Exchange Warranty on all Tianying Optics branded devices and 3 Years on Yukon Advanced Optics models (unless otherwise stated). If the unit proves to have failed due to parts or labour, we will exchange it with a new device. The best way to choose your night vision equipment is to evaluate it under the conditions that you require it to work for you. To this end, we are happy to demonstrate devices to you, in order to help you make an educated choice. However, you should consider the following interdependant performance factors before deciding on a particular type or model. MAGNIFICATION Just because the objective lens gives a high magnification e.g 5 X or 8 X, it does not always mean that it will give you a better or more detailed picture. Increased magnification will usually reduce the amount of light that the lens can capture, so that more tube gain will be necessary to give an acceptably bright picture under very dark conditions. Your units effective range depends on a combination of available light, magnification, gain and resolution. GAIN This is the number of times that the device amplifies the ambient light level. It is expressed in two ways - either as Tube Gain or System Gain. Tube gain refers to the amount of gain measured from the intensifier tube only, and is not an accurate bench mark of the performance of the device as a whole. System Gain refers to the overall gain of the device, considering the lens, II tube, filters and phosphor screen ; this is a much more accurate measurement because it measures all the components working together (gain values that we gave earlier for the different generations were typical system gains) and is usually a much smaller figure then the tube gain. Surprisingly, more gain does not necessarily mean a clearer or better picture, but merely a brighter picture. Tubes that work a very high gain value may as a result have a shortened life span because they are under much higher tension. RESOLUTION This is the ability of the NVD to allow the user to distinguish the shape and line of objects situated in close proximity to each other, and it is this factor which enables the user to make out details on objects rather then just there outlines. Resolution is normally expressed as line pairs per millimetre (lp/mm). Q. How far will I be able to see with my NVD ? A. This is the question most often asked, and the one that is most difficult to answer. Not only is the performance of any particular scope limited by the amount of ambient light (moon/starlight, cloudglow, artificial light etc), but it is also limited by prevailing weather conditions (fog, mist, heavy rain) which will also limit its performance. Under ideal conditions, the range of the device is dictated by the interdependant factors of magnification, resolution and gain, and naturally these factors are different for nearly every device. The best effective range with most intensifiers is achieved with a high speed lens that has minimal magnification ( less then 5 X), a high resolution factor and enough gain to make the image bright without creating "noise" (often referred to as scintillations) on the image. Range (to the layman) is best expressed as Detection Range and Recognition range - where the device is tested under specific levels of light e.g starlight, 1/4 moon, 1/2 moon, full moon. Detection Range is the range at which you can make out the human form against a contrasting background, see vague outlines and detect movement. Recognition range is the range at which you can easily recognise details on a person or object (not just outlines) and can clearly make out shapes and features. Where possible, we try to quote these performance distances in our specifications (using conditions of 1/2 moon +) and invariably these distances will be greater with GEN 2 devices. Q. If I am looking through my scope, and someone turns on a bright light within my field of view, Will I be blinded ? A. No, but this is something that nearly every film maker deems necessary to include in his script, if a film involves Night Vision Devices ! The truth is that if your scope is of a very simple design, the tube will cease to function in a matter of a second or so, before any damage can be done to your eyes. If your scope is of a more modern design, its protection circuits will cut all power to the tube ( nearly instantly) if light levels get too high. These self-preservation systems are Automatic Brightness Control (ABC) and Bright Source Protection (BSP). The former adjusts screen light levels to a constant level, and if the amount of light entering the scope is too much for the ABC to control, the latter cuts the tube power for a period of 2 minutes, before powering up again. These protection circuits should be seen as a safety feature only, and should NOT be tested unnecessarily. Q. What is " Blooming " ? A. When an NVD is panned across bright light sources, the light may leave a hazy, streaky afterglow which will degrade the image on the screen for up to 30 seconds after the user has panned on ; this is known as blooming. Modern GEN 2 and GEN 3 scopes have nearly eliminated this characteristic, but the less advanced GEN 1 scope is still adversely affected by it. Q. Why are there small black spots on the picture ? A. Black spots (which appear in scope picture resembling dust) are small cosmetic imperfections in the tube which are a perfectly normal attribute of NVE and inherent in the manufacturing process of the tube. A permissible number of these spots is shown later on, and where the number and size of these spots exceeds these guidelines, the tube is considered to be sub-standard. Spots may also appear in the tube if a scope has been exposed to a bright light source for long periods of time (the areas of the tube that are most exposed to the light become deficient in electrons, and subsequently become completely de-sensitised, and appear as black spots). Q. Will my Night Vision Device pick up body heat ? A. No, absolutely not. NVDs amplify available ambient light, whereas Thermal Imagers ( a completely different technology) pick up differences in temperature. This technology is still out of the reach of the average person, being immensely expensive. Q. Can I mount my NVD to a camera or camcorder ? A. It is possible to mount some of our units in this way for photographic purposes. Our catalogue will let you know which units are adaptable. Incidentally, GEN 2 units will generally give the best results for this purpose. Q. How long will my NVD last ? A. Most image imtensifier tubes (depending on generation ) will last between 2,000 and 4,000 hours, depending on the conditions that they are used under (continuous exposure to bright light will shorten the tube life). Keep in mind that if you use your unit for 100 hours a year, you are using it a lot, and even in this case the expected life from even a GEN 1 unit could be 20 years ! Q. 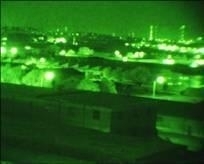 Why are Night Vision devices so expensive ? A. 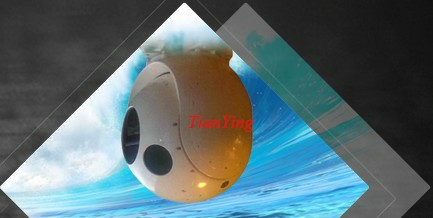 The technology and machinery involved in the manufacture of NVE is awesome, and therefore does not come cheaply. It can take over 6 weeks to make a single II tube, involving over several hundred manufacturing steps. The failure rate is quite high, which in turn pushes up the unit cost. ANGLE (FIELD) OF VIEW The measure of the width of the scene as viewed through the NVD - usually higher magnification lenses will give a smaller field of view. AUTOMATIC BRIGHTNESS CONTROL This is a protection and anti-glare circuit that gives consistent picture brightness on the viewing screen irrespective of the level of light entering the device (as light levels on the target area rise, the scope automatically dims, and vice versa). 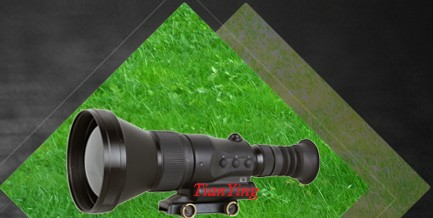 BINOCULAR An NVD that has 2 seperate objective lens, 2 seperate intensifier tubes and 2 seperate eyepiece lens. Binoculars are great for long term observation, (because they do not tire the eye to the same degree as monoculars) and also give true depth of field, enabling the user to judge distances more accurately. BI-OCULAR An NVD with a single objective lens, single intensifier tube but with 2 seperate eyepiece lens. Like Binoculars, they are good for long term observation and are more comfortable to use over long periods then a monocular. BLACKSPOTS Artefacts which appear on the viewed scene. These are quite normal and are inherent in the manufacturing process (they are graded into permissible sizes and numbers per tube) Spots can also appear on the viewed scene because of burn-in i.e where the NVD has been exposed to very bright sources of light for long periods (the area of the photocathode exposed no longer produces electrons and appears as a dark spot on the image. BLOOMING This is an attribute mostly associated with GEN 1 and earlier GEN 2 models. Bright light in the field of view produces a fog-like glare on the image, which remains for a few seconds as an after-image, and is most noticeable when the user has panned from a bright to a dark scene. BRIGHT SOURCE PROTECTION A protection circuit that cuts the power to the NVD if brightness levels are too high for the device to take, and which would result in the tube being damaged. The BSP circuit normally resets after a few minutes, if light levels drop. DISTORTION This is where the image as shown in the device deviates from the true life image ; There are 3 main types of distortion - Geometric, Shear and "S". The latter two are barely noticeable to the naked eye, but geometric distortion can be quite visible (especially in GEN 1 devices) and appears as a slight curving of the image in the periphery zone. FIXED PATTERN NOISE When GEN 2 and GEN 3 devices are used in very high light levels, a pattern of hexagonal shapes (similiar to a honeycomb) becomes visible on the image. This is actually the shape of the micro-channel plate being pronounced by the incoming light, the small hexagonal shapes being the rods of the MCP. This pattern disappears when the scope is used under the dark conditions. 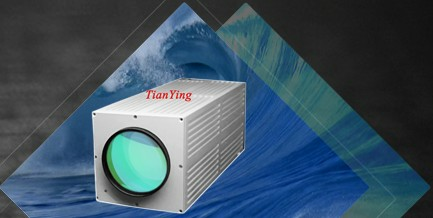 GAIN The level to which the image intensifier will amplify (intensify) the existing ambient light. Tube gain gives a very impressive figure but is actually pretty meaningless to the layman (a 5000 horse power engine may sound very powerful, but not if it is pulling an oil tanker !). System Gain is a far more useful and accurate specification, because it takes into account the entire device including loss of light from objective lens, electronic filters, phosphor screen and eyepiece lens. GALLIUM ARSENIDE Or GaAs for short. Gallium Arsenide is the highly photo-sensitive chemical used in GEN 3 sytem photocathodes, which accounts for their high performance in low light levels and their very long tube life span. INFRA-RED This is light that is invisible to the naked eye because it is outside our eyes light spectrum level (usually 750+ nanometers) but is visible through Night Vision Equipment (all generations, but more so through GEN 2 and most of all through GEN 3). LEN SPEED The ability of a lens to gather light. Lower f numbers are faster i.e they gather light more effectively. MICRO CHANNEL PLATE This is the metal covered glass plate which makes GEN 2 and GEN 3 systems so effective. It contains millions of holes (called channels or rods) through which electrons from the photocathode pass. As they do so, they bounce off the walls of the channels and propel many more electrons down through the channel, so that for every single electron that enters from the photocathode, many thousands exit to strike the phosphor screen and create the image that the user sees. Naturally, the more channels that the MCP has, the higher the resolution of the resultant image. MONOCULAR An NVD with a single objective and a single eyepiece lens. Usually suitable for most applications, but especially where a smaller unit is required for convenience reasons. Monoculars are handy where the user has to move around during use - your eyes quickly revert back to natural night vision where only one eye has been exposed to bright light (from the NVD) - enabling the user to rely only on his eyesight for orientation while moving. (Binoculars - because the user views with both eyes - tend to diminish your eyes natural night vision, making your eyesight less effective in dark conditions for up to 20 minutes after use, as if the user had just stepped from a bright room into the darkness). NOISE Also called scintillations. This appears in the eyepiece of NVDs as a sparkling effect on the image, and is more pronounced in GEN 2 and GEN 3 systems, when used in extremely low light levels (caused by stray electrons from the MCP striking the phosphor screen). OPTICS Any lens or ancilliaries used as part fo the NVD. Only the highest quality optics make the grade when it comes to NVE, and usually those with the best light gathering ability. PHOSPHOR SCREEN A screen that the user views through the eyepiece lens. The screen gives off a green glow when struck by electrons from the II tube, and it is this process that creates the image that the user sees. (As previously stated, green phosphor is used because the human eye is most sensitive to subtle changes in the colour green). PHOTOCATHODE This is situated at the front of the image intensifier. The objective lens focusses the image onto the photocathode, which when struck by light photons, sends off corresponding electrons into the intensifier tube. The more sensitive the photocathode to the invisible IR spectrum the better. PHOTOSENSITIVITY The sensitivity (or efficiency) of the photocathode expressed as a value (the higher the value, the more efficient the performance in low light). RESOLUTION The ability of an NVD to give a detailed picture, that will enable the user to distinguish between objects situated close together and see their physical characteristics. Resolution is a very important contributing factor to the successful performance of any NVD. SPECTRAL RESPONSE This is the term given to the sensitivity of the photocathode to different wavelengths of light - this is also a very important factor in the NVDs performance capability. The further down into the invisible Infra Red spectrum that the device can operate, the better its performance will be at low light levels - at night there is always more light available in the IR spectrum then there is in the visible light region (otherwise it would not be dark !!). GEN 1 spectral response is in the near visible light region, while GEN 2 goes further down into the invisible IR spectrum, and GEN 3 further again. WEAPONSIGHT An NVD that can be mounted onto a firearm enabling the user to engage targets at night time, more or less as you would during daylight.